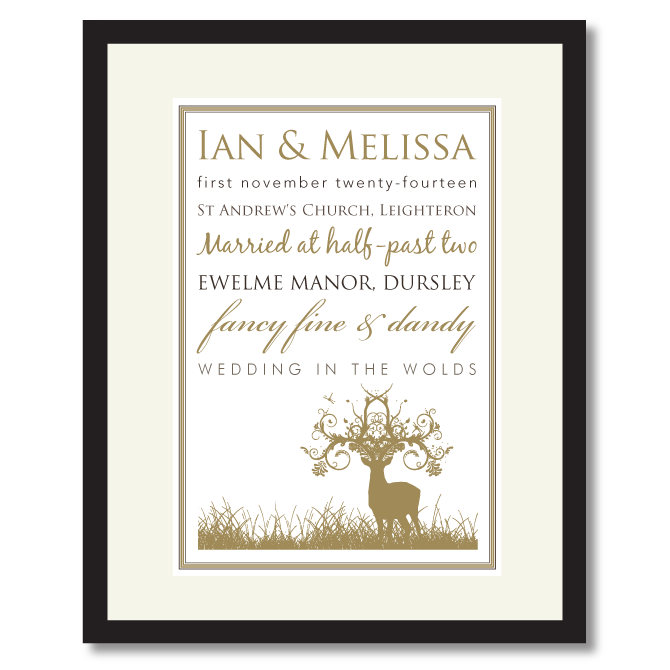 A Wedding Print is a great way to keep alive those wonderful wedding day memories and makes the perfect personalised wedding gift. The two bespoke designs were designed to match the look and feel of the wedding stationery and both were big hits with both couples. 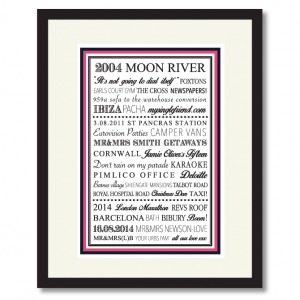 If you are thinking about giving it as a wedding gift but unsure as to the look and feel the bride and groom might want, then wedding vouchers also make the perfect gift – leaving the them to art direct. 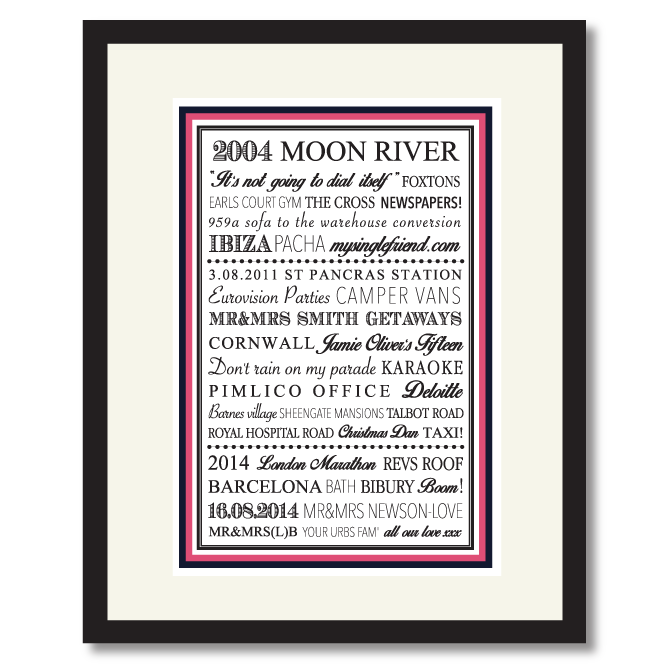 A unique and bespoke wedding gift that will suit any newly-weds.